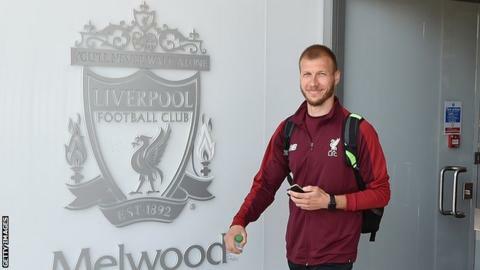 Liverpool defender Ragnar Klavan has joined Serie A side Cagliari for £2m on a two-year contract. The Estonia captain and centre-back made 53 appearances for Jurgen Klopp's side after joining from German club Augsburg for £4.2m in July 2016. Klavan, 32, played 28 games last season, including eight Champions League ties. But he fell out of favour at Anfield, with Virgil van Dijk, Dejan Lovren, Joel Matip and Joe Gomez preferred. Cagliari play their first game of the season at Empoli on Sunday.